Microgaming has revealed that London based Ascensus Interactive is the latest poker room to join its ever-growing, award winning poker network (MPN). 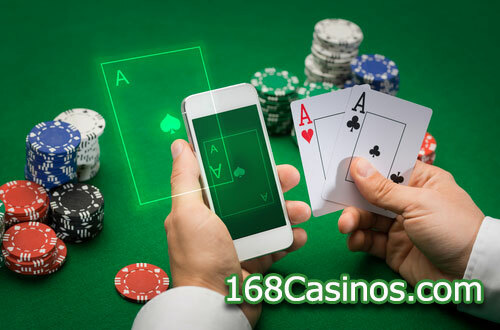 Ascentus Interactive was founded in 2018 and offers a selection of targeted casino, poker and sports betting products to certain markets around the globe. Players Come First (PCF), which is the company’s primary poker brand, is now alive on the MPN. Alex Scott, Managing Director of Poker at Microgaming, commented that they welcome Ascensus Interactive to the ever-growing MPN family and are thrilled to be their poker provider of choice. He added that he is impressed by the team’s collective experience and talent, along with their dedication to responsible gambling and corporate social responsibility, which fits in perfectly with their ethos at Microgaming. Eugene Castro, Co-Founder and Chief Executive Officer at Ascensus, said that when they initially decided to build their own gaming platform, they intended to make poker the cornerstone of their offerings. Castro also said that they had planned early on to get on board with the MPN because of their innovative software, industry-leading management tools and outstanding passion for poker. Hilly Ehrlich, Co-Founder of Ascensus added that players can also enjoy a comprehensive online tournament and satellite schedule, including a selection of satellites to the MPN’s world-famous live poker tour. He said that the MPN’s UCOP Vegas online tournament series is running between 14th and 18th April, 2019, guaranteeing over €500,000. Joining the network will see Ascensus Interactive benefitting from MPN’s powerful and easy to use poker and campaign management functionality. According to an announcement, Microgaming Poker Network’s (MPN’s) progressive jackpot on its special Fish Party Sit & Go has been hit for a massive amount of €117,341.17. The latest win makes the total amount awarded to date to more than €1.5 million. The Fish Party jackpot, that provides players with a vast number of opportunities to land the big one, was hit by a lucky player on Friday, 29th March 2019 and is the fourth biggest win on the network since the launch of the game in July of 2016. The lucrative prize of €117,341.17 is due to be shared amongst one NordicBet player and two Coolbet players who participated in the 3-seater Sit & Go tournament with a €10 buy-in. The player, only known as ‘miila295’, hails from Finland and had been playing at Coolbet for approximately a year before taking the top spot and the largest portion of the prize pool worth €58,670.59. ‘Stoffeloco’, a NordicBet player from Sweden, managed to come second with €35,202.35 which was followed by Coolbet player ‘jalihi’ who came in third place, pocketing €23,468.23. The jackpot on Fish Party has been won a total of 14 times, which includes the biggest win on the network when the MPN’s Fish Party €20 jackpot was hit for an impressive amount of €317,849.78 in October 2018. Microgaming has welcomed One Time Poker (OTP) to its rapidly increasing network of online poker rooms. One Time Poker launched last year by a team of notable and reputable online poker industry veterans, supported by a number of leading professional online poker players, and is currently an online poker and casino business that operates in numerous countries around the globe, including the United Kingdom. OPT was extremely impressed by Microgaming’s professional and forward-looking strategy as well as its top-notch product and commitment to meeting player needs, and has joined the Microgaming Poker Network (MPN) as a poker partner. The award-winning MPN platform will provide OTP and its customer base an opportunity to gain access to a network that supplies a dependable and extensive online tournament and satellite schedule and an array of exceptional network promotions. OPT players will also have a chance to participate in the MPN’s well liked UCOP Passport tournament series. Alex Scott, Managing Director of Poker at Microgaming commented that they are thrilled to welcome One Time Poker to the network. He added that it is fantastic to be working with a team that shares their passion for putting the player first, so they are really looking forward to supporting them in this mission. Randy Kasper, the founder of One Time Poker added that in addition to their professionalism, Microgaming has pushed its poker product to unequaled levels. He also said that it has been an absolute pleasure to work with the MPN team thus far, and he could not be more excited about their partnership going forward. 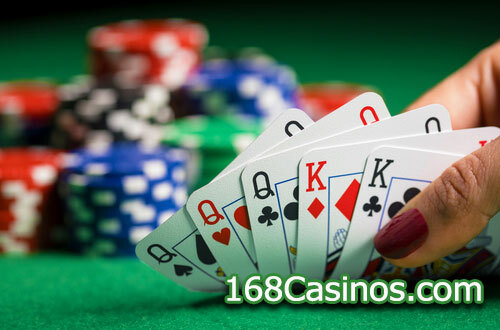 In 2010, the Kentucky Justice and Public Safety Cabinet brought a lawsuit against Poker Stars, suing the online poker room for $870 million for allegedly operating illegally in the state from 2006. Franklin Circuit Judge Thomas Wingate ruled in the state’s favor and ordered the online poker room to not only pay the money supposedly lost by 34,000 PokerStars players during that time period, but to also triple the lost revenue in the form of a fine. PokerStars immediately launched an appeal of the ruling and this week, an Appeals Court ordered the lawsuit to be dropped against its parent group, The Stars Group. The Appeals Court said that the state could not use its current gambling laws as a means to force TSG to pay the fine. “Allowing a complaint, like the one put forth by the commonwealth, to move forward would lead to an absurd, unjust result,” wrote Judge Glenn Acree. The 3-judge court ruled that Kentucky should not be allowed to sue on behalf of players who lost money to the online poker site, brought after a federal government crackdown in 2010 which soon became known as Black Friday. Microgaming’s famous international poker network, MPN, has brought its excellent platform to yet another European country. In association with Bulgaria’s National Lottery AD, the group launched MPN and this makes it the first time that Microgaming’s poker makes its appearance in the Bulgarian online poker market. 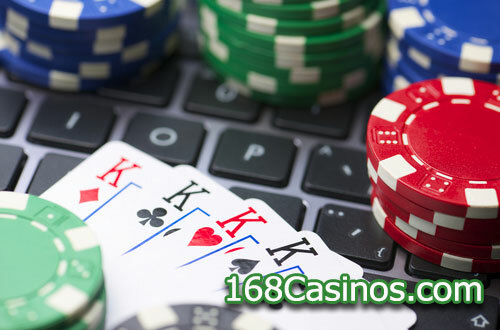 The exclusive deal means that the online poker product will be available through National Lottery AD’s 7777.bg site. National Lottery AD said that the partnership enables the group to continue to diversify its product offering and to deliver entertaining and award-winning poker games to its customers. Milen Ganev, speaking for National Lottery said that he group looks forward to its Bulgarian customers playing on Microgaming’s feature-rich poker solution. The deal between Microgaming Poker Network and National Lottery AD was brokered through Prima Networks Limited. Microgaming has made it clear in recent years that its main objective is to expand in key regulated markets. Its move into the Bulgarian market is thus in line with one of its most strategic goals.